Pakistan has completed a clean sweep of China in their four-match series, the first international hockey event in the country since 2004. Pakistan won the final match 2-1 on Sunday to emerge unbeaten in the series after taking the first three games in Karachi and Faisalabad earlier this week by 3-0, 5-3 and 3-1. ‘The Chinese played a much improved game today. They kept us tight,’ said Pakistan captain Muhammad Imran. Pakistan, however, gifted the series trophy to their rivals to acknowledge their support for the violence-hit country. 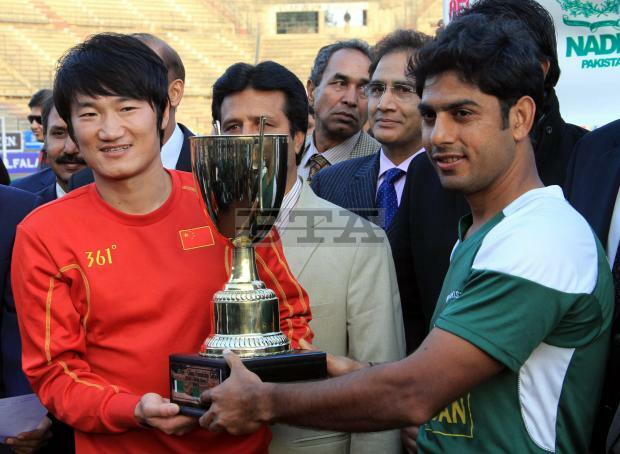 ‘China lost the hockey series but won the friendship series by coming to Pakistan. So, we will give this trophy to them,’ Asif Bajwa, the secretary of Pakistan Hockey Federation, said at the awards ceremony.